Kalas is exhibiting this week at the National Groundwater Association’s Groundwater Week in Las Vegas. This event is the leading trade event within the Groundwater industry occurring annually in December. 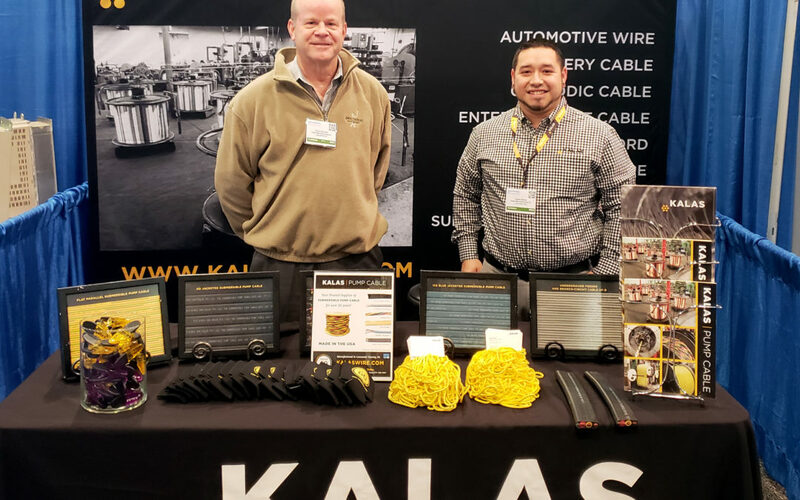 Kalas has led the way in Submersible Pump Cable manufacturing for decades and this event proves to be a week of opportunities to interact with valued customers and meet new faces in the industry. This year’s event is at the Westgate Las Vegas Resort & Casino December 3 – 6. Kalas is exhibiting in booth 910 – so come stop by today! Visit https://groundwaterweek.com/ to learn more about this show’s line up of events, educational opportunities and how you can attend today!